The latest addition to the Great Glen charcuterie family. 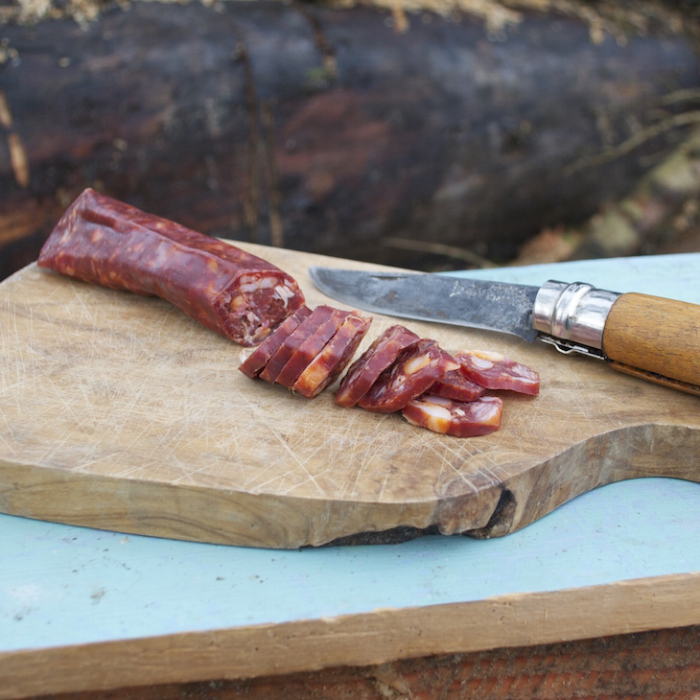 A mixture of Scottish wild venison with the best Scottish pork. Great for charcuterie platters or just to eat straight from the pack. 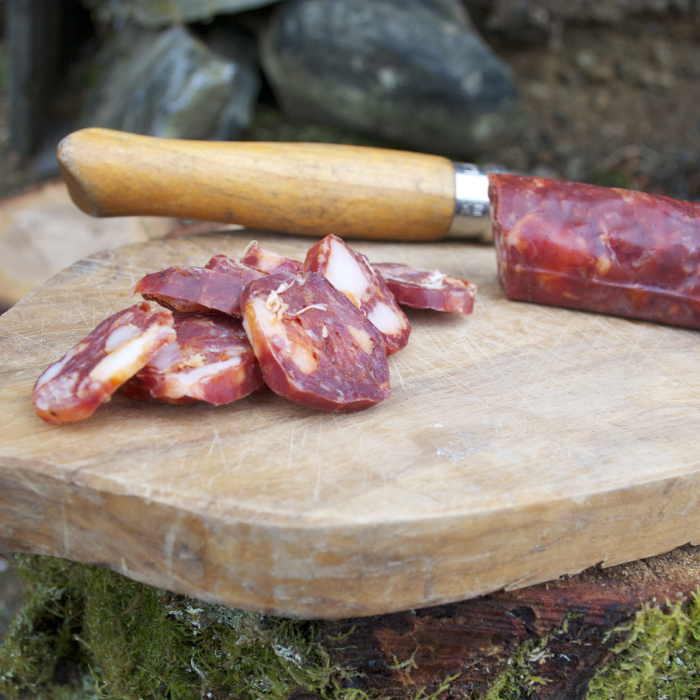 Try this delicious chorizo in pasta dishes and risottos, or even make a delicious venison pork chorizo homemade pizza! This product is great to use in cooking as it has more fat than Great Glen's pure venison chorizo.